I’m doing my very best to keep up, both with interacting with everyone, visiting their blogs and reciprocating support and friendship, and providing new content on a fairly regular basis, in order to keep helping more people. I also thoroughly enjoy receiving and responding to messages, which I’m always open to and honored to receive! I confess that this is an unusually busy time for me right now; a dear (and elderly) friend who has been staying with us suddenly began to have some serious health complications over the past week and a half, including a trip to the hospital, and I’m currently staring down the barrel of a 200-question written exam (offered twice a year, incredibly expensive) whose date is rapidly approaching (Saturday 3 April), over and above the usual workload and family life (lol) 🙂 That’s not to make excuses, but rather, to explain myself if I sometimes seem to run “hot and cold”; sometimes the spare time really is touch-and-go. Sometimes I get to choose between blog time and sleep time (lol). But there is light at the end of the tunnel for some of this stuff. In the meantime, I’ve come to cherish not only my growing readership (Hi!! And Welcome, and Thank You! ), but also the lovely reunions with a few of this blog’s earliest supporters from those first days, weeks, and months (So happy to see you!! And Thank You, too, for your support then and now!). 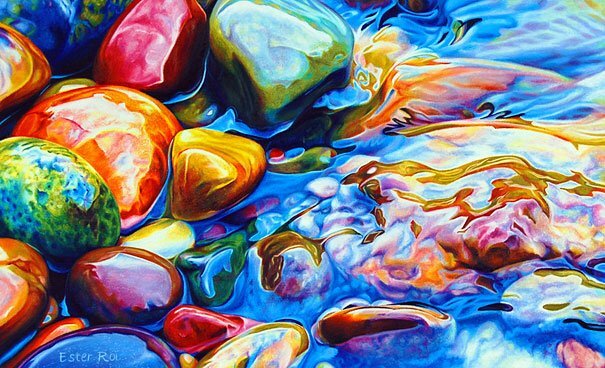 Although I try not to be redundant or monotonous with my post topics, I will often come back around and write about a topic I might have already written about, if I can frame it in a new light, or if I have come across new information, or if I’ve gained a new perspective, or gone through a new experience, etc. Since my bond with many of “my” new lovely followers has been “only” recently established, it’s very likely that a post I’ve written about may have a similar companion in the archives that might help in similar ways (to those mentioned above). One last tidbit I’d like to share is that I’ve updated and expanded the existing Resources page (also accessible via the Menu, anytime, from anywhere on this site), to include more books, a couple more bridge-building websites (between people on and off the spectrum), and a few more additions. Love, Aspie-friendly hugs, and so much gratitude to you all!! Previous Alexithymia during an emotional breakdown…? Next Sharing: Whose Charities Are They Anyway? marvelous idea. to be honest, in the old (even pre-wordpress) days, they used to do this with forums that started to reach a certain amount of information. i do this all the time on my own blog. Wow! I am in awe. I felt accomplished because I got the kiddo off to school AND took a shower 😜 Good luck on the test & I hope your friend’s health gets better. 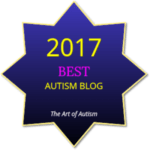 I’m not at all surprised that your blog is doing do well, it’s among my favorite Autism related blogs. One question, are you interested in books written by Autistic people about Autism, or any books written by Autistic people? You are truly doing an incredible job. Isn’t it so much fun reading everyone’s post, interacting with the authors and getting to know them with responses from the heart. We are learning so much from each site and to feel the support and encouragement is energizing. Like you we feel so honored when people share themselves in their comments to our post. We feel that if and when we meet these folks it will be like sitting with old friends. It is such fun being connected to you and learning through your eyes and words!!!!! First, I have an idea. I’m really excited to get it out there. An electric kind of tension builds. And this love you put into each post, each image, each tag, each comment, etc. is felt by us and the readers following you which is heartwarming and humbling. Your passion generates excitement and enthusiasm. What you said about each person being very real is SO true. In our home we speak of these people as cherished new friends that have allowed us and trusted us into their lives and that is a huge blessing. So everything you shared from your heart is felt by us too so keep on blogging cuz we’re following with interest. I found out that I was very likely on the spectrum after taking several of the main online questionnaires, and immediately I sought out blogs written by others on the spectrum. At first, it was sort of a compulsive curiosity; I wanted to see how their thought processes compared with my own. Thank you for sharing your thoughts; they tell me that I did exactly what I set out to do, and I’m ecstatic that it’s happening. Awesome. Please keep your passion for sharing and caring. How do we effect the world around us…. one person at a time… and you are doing it in multiples…. Just wanted to ping some love back at you and to say that I very much appreciate the existence of your blog. I can only repeat what I said before: it’s helping me so much right now. And it’s inspired me to go on my own blogging adventure, which I’m very exited about, but also very nervous about suddenly being out there…but the prospect of becoming part of the wonderful community I can see emerging from the interwebs draws me in.